Cebu Is a Beauty | A Cebuana Lifestyle Blog: Love Month Wrap Up! WHEW! What an eventful 28 days! It felt like the longest month of the year. I was sooo busy with midterm exams during the first week, criminal law mock bar just this sunday. I'm a bit dazed by the stress. Earthquakes and Tsunamis are just two of the MANY instances that we humans find ourselves helpless, so let us not be so arrogant by thinking we are alone and that we do not need anyone else. Let us have faith in the greater scheme of things. I got so much to thank for: the giveaways I won, the unexpected gifts, my fabulous thrift finds, I could go on and on but its just time to move forward and just smile back now. Ipanema Gisele Bundchen 2010 star sandal straight from Brazil. I gift from my mom's former officemate in TinderBox. March, I WILL OWN YOU!!!! 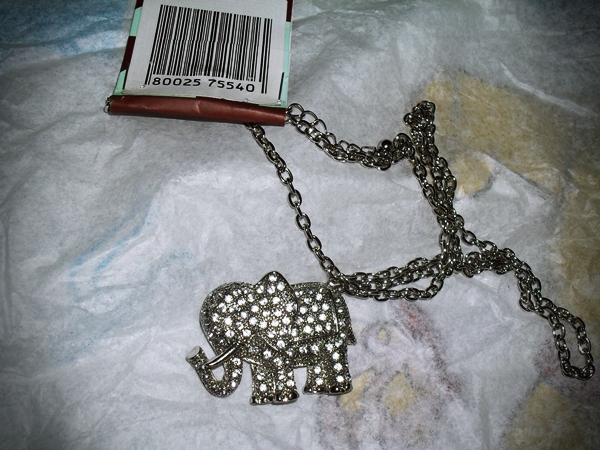 btw, my dear friend Sweet is on her fifth blog giveaway and its a fabulous elephant bling from Forever21. Everyone is eyeing it, including me. It's gorgeous! naa jud banta...I will own you!!! !